Montreal/Vancouver: Two of Canada's most successful funding platforms, Fundica and FundRazr, have teamed up to add an exciting crowdfunding layer to the 2014 Funding Roadshow. The Fundees Crowdfunding Competition, powered by FundRazr, will be unveiled at the Toronto and Guelph Funding Roadshow events on April 9th and 11th, respectively. Visit www.FundingRoadshow.com/Fundrazr for more details. A Grand Prize package worth $10,000 awaits 2 Canadian startups that tap the crowd most successfully in either the Keep-it-All or All-or-Nothing streams. Startups across Canada (excluding Quebec) will strut their stuff during the 7-week "competition period" running from May 5th - June 23rd, 2014. Campaigns can be created and updated starting April 9th until the end of the competition period. The leaderboard will go live on May 5th and campaigns can be launched publicly on that date. All competitors will also access valuable incentives detailed below. "Crowdfunding is a proven and powerful new way for entrepreneurs to build community, get market feedback and raise alternative financing," said FundRazr CEO Daryl Hatton. "We are pleased to launch The Fundees competition to celebrate more entrepreneurs raising capital as funders and backers conveniently access the campaign stories and perks online." The Grand Prize includes: a Future Equity Crowdfunding campaign on the FundRazr platform with FundRazr fees waived1 (valued at $5,000+), a Startup Marketing package courtesy CrowdClan (valued at $2500), a Winner Promotional package including profile video courtesy FundRazr (valued at $2,500) and the coveted first ever Fundees Award representing market validation by the Crowd. Best of all, competitors keep the funds raised during the campaign. "We are excited to enable more entrepreneurs, even outside the 10 cities we visit, to access complementary funders via this crowdfunding competition," stated Fundica CEO Mike Lee. "The proven FundRazr technology will enable campaign set-up and related tools to help campaigns succeed right on the FundingRoadshow.com website." All eligible3 competitors that launch campaigns will also qualify for two great incentives. CANARIE is offering one year of DAIR cloud infrastructure services worth more than $2,000. DAIR provides entrepreneurs with high performance, made-in-Canada cloud resources for development, testing and demonstration of new products and services utilizing advanced computing and network technologies. Competitors will also be eligible to receive an exclusive invitation to Canada's first Equity Crowdfunding cohort courtesy of FundRazr. The cohort will be among the first startups to have the opportunity to raise capital under the new Canadian crowdfunding exemptions. The will receive beta access, coaching, event and networking opportunities. Crowdfunding Workshops will be held at several Funding Roadshow events including the Toronto and Guelph stops, as well as via online webinars (webinar dates to be announced shortly). 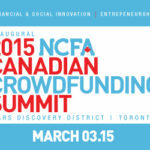 These sessions will share best practices as well as insights on the future of crowdfunding in Canada. Attendees can learn more about The Fundees Competition and alternative financing. FundRazr is Canada's most successful crowdfunding platform with $45M raised in over 20 countries over 40,000 campaigns that span entrepreneurial, personal and charitable projects and causes. FundRazr offers a suite of Business Crowdfunding Solutions including Donations, Rewards and Pre-order with Equity solutions planned for Fall 2014. Crowdfunding-as-a-Service technology (CFaaST) was launched in 2013 to enable businesses to offer crowdfunding to their community - Powered by FundRazr. Recent FundRazr awards include 2013 BCTIA Most Promising Startup and the Profit Magazine Hot 50. For more information, visit www.business.fundrazr.com. Fundica, Canada’s most successful traditional funding identification and connection platform, matches entrepreneurs, private investors, public funders and advisors. Through unique crowdsourcing/crawler technology, Fundica provides an up-to-date, comprehensive and intuitive platform. Additionally, Fundica manages the Funding Roadshow, an annual cross-Canada event. In 2013, Fundica earned a Bronfman Foundation Top 25 Emerging Entrepreneurs Award and was named an Intuit Financial Literacy Startup Finalist. For more information, visit www.fundica.com.